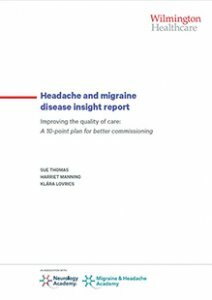 Our latest disease insight report explores the impact headache and migraine have on admissions and reflects on how improved commissioning of services can help to reduce admissions through better management of patients. “One cannot have failed to see press comments over the Christmas period about the acute demands on accident and emergency services. The December emergency department four-hour wait performance to see patients revealed that services were only spared from being the worst ever recorded by rounding off figures. At one decimal place, the all-department score equalled January 2017’s score of 85.1%—the previous all-time low. At two decimal points, however, only 85.07% were seen within four hours in December 2017; last January it was 85.14% (Illman, 2018). 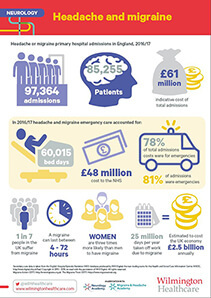 Our latest disease insight report explores the impact headache and migraine have on emergency admissions and reflects on how better commissioning of services can help to reduce admissions through better management of patients. This useful infographic provides a top-level overview of the impact of headache and migraine.